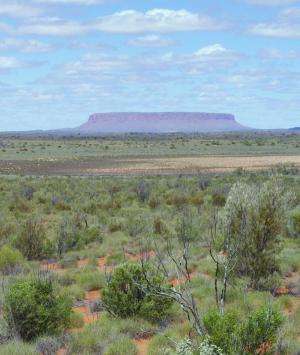 Dryland ecosystems, which include deserts to dry-shrublands, play a more important role in the global carbon cycle than previously thought. In fact, they have emerged as one of its drivers, says Montana State University faculty member Ben Poulter. Surprised by the discovery, Poulter and his collaborators explained their findings in Nature. At the same time, they urged global ecologists to include the emerging role of dryland ecosystems in their research. Huh, another nail in the coffin... I can't imagine it will change a thing with the AGWites. Hmmm...and how exactly do they calculate the "global terrestrial carbon sink"--or any other global carbon sink for that matter--with any degree of accuracy? It's an interesting exercise, but quantifying a global terrestrial carbon sink, like trying to model global climate, is fraught with problems. Calculating atmospheric CO2 is pretty straightforward, but figuring out emissions from fossil fuels, changes in land use, ocean uptake and residual carbon sink is complicated by huge uncertainties.